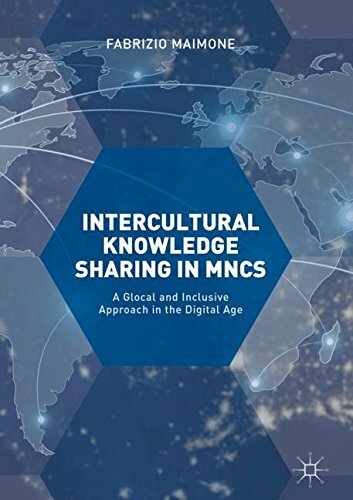 This book provides a systematic view of current and future research perspectives on intercultural knowledge sharing and offers a model for the growth of organizational knowledge in the digital age. The author puts forward multidisciplinary and multi-paradigmatic approaches to offer an updated view on the best practices towards international management. With insights on the opportunities and limitations of the use of digital and social media to facilitate intercultural knowledge sharing in business, the book explores the evolution of research on the topic, taking into account the consequence of “glocalization” as well as technological innovation and the evolution of organizational strategies and structures. Intercultural Knowledge Sharing in MNCs will be of use to scholars of management and organizational studies, as well as managers of international businesses interested in knowledge sharing, as it delivers an invaluable model which aims to conciliate diversity and inclusion, global and local knowledge, technological innovation and humanism.